Just 3 months ago, we revealed to you the first AMD Naples + Radeon Instinct reference design. Yet, details were scarce. Now that AMD has finally launched their Ryzen 7 desktop processors, they are finally ready to reveal details of the AMD Naples CPU. 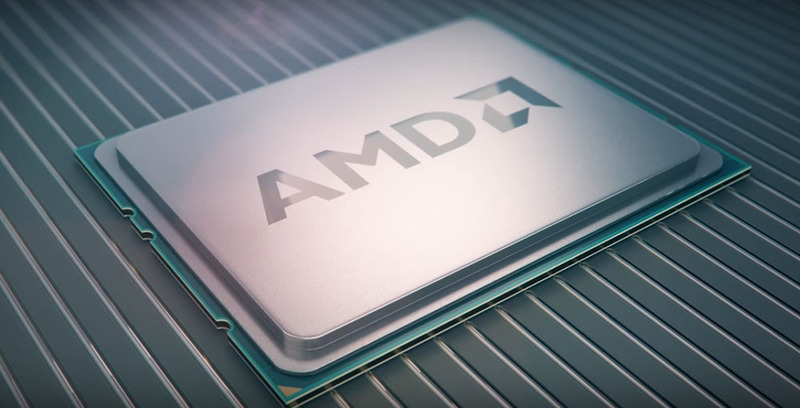 Like Ryzen, the AMD Naples CPU is based on their brand-new Zen microarchitecture. 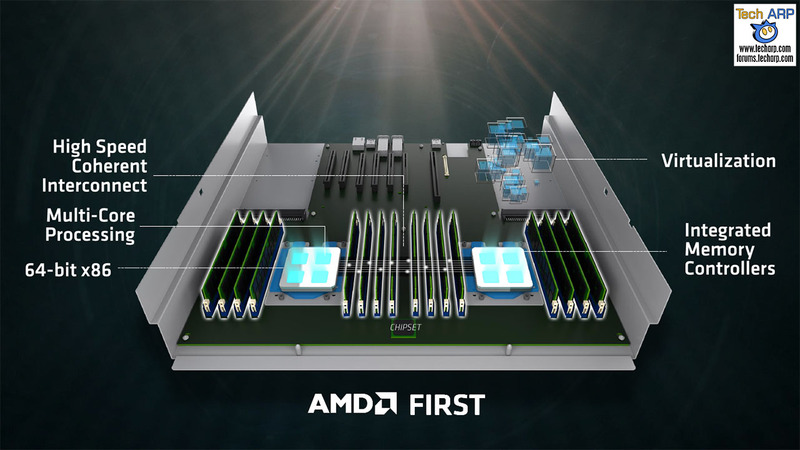 Designed for servers, the Naples CPU offers up to 32 processor cores, an integrated high-speed DDR4 memory controller and a new high-speed coherent interconnect. 32 AMD Zen cores., each capable of handling 2 simultaneous threads. The Naples CPU is fully integrated with high-speed I/O including 128 PCIe 3.0 lanes. Because the Naples is a complete SoC, there is no need for a separate chipset, reducing cost and power consumption. 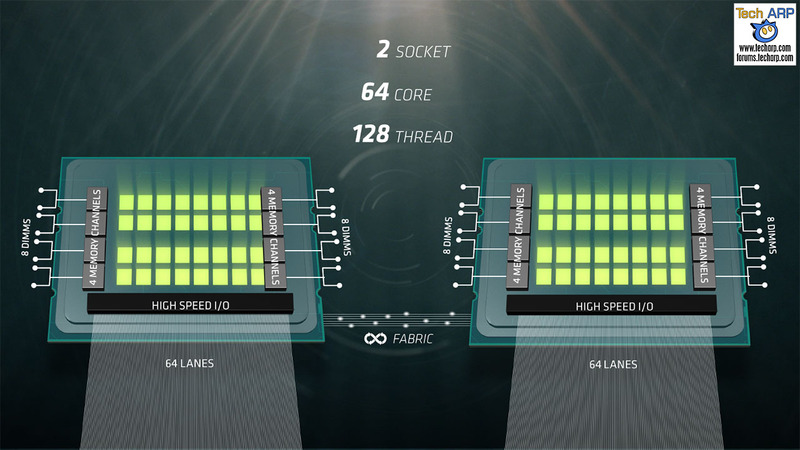 In a 2-socket system, two Naples CPUs will communicate with each other via the AMD Infinity Fabric coherent interconnect. Even though each Naples CPU technically supports 128 PCIe 3.0 lanes, it is limited to 64 PCIe 3.0 lanes in a 2-socket design.